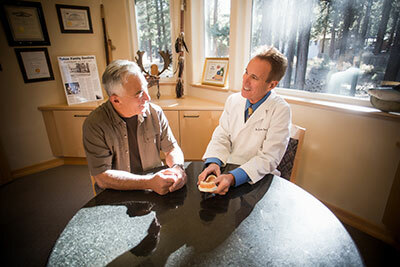 Sedation Dentistry – Tahoe Family Dentists - Providing excellence in dentistry in South Lake Tahoe. We want patients to feel comfortable and anxiety free here. 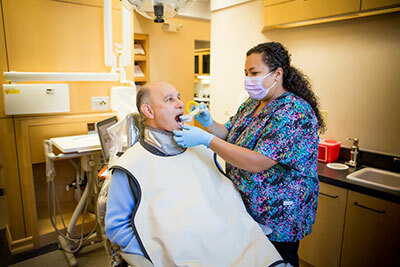 Sedation options are available if you feel uneasy in the dental chair. 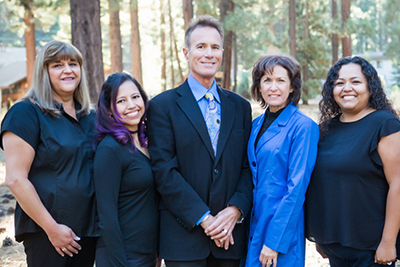 One of the main goals at our South Lake Tahoe dental office is to ensure you always find your visit to be as comfortable as possible. We offer sedation dentistry or sleep dentistry on request, so you never have to feel anxious or fearful when in the dental chair. Sedation dentistry is excellent for patients who are having extensive dental work done as well as for those who have anxiety over dental visits or just want to be able to relax during treatment. Under conscious sedation, you’ll be able to hear, see and respond to the action around you in the dental office. However, you won’t be worried or tense about the procedure, and your sense of pain will be dulled. Oral sedation is usually given and you are made comfortable for 40 minutes or so while it takes effect. IV sedation starts working a few minutes after the IV goes in. For both of these kinds of sedation, you will need to have transportation home as they take some time to wear off completely and driving is not permitted. Nitrous oxide, or laughing gas, takes effect quickly and also wears off quickly, and it can be easily adjusted during the procedure depending on how much you feel you need. Many patients prefer this option as it wears off quickly enough that you can, after waiting a short period in our office, drive yourself home.